The equity phenomenon, whereby legal practice on the ground is amended or corrected by a variety of means, is well attested in the cuneiform traditions. The right to redeem property previously sold or pledged belongs here, as do the royal debt-release edicts. Yet the phenomenon is also wider than this and the aim of this one-day conference will be to gather scholars to present archival evidence from a range of different periods and places, with particular focus on cuneiform sources. In addition to Old Babylonian archival evidence from different localities, papers will also address the third millennium evidence, evidence from LBA Emar, the Middle Assyrian edicts, and Neo-Babylonian practices. From outside Mesopotamia, Egyptian and epigraphic Roman evidence will be presented. The accent of the day is on the operation of equity, how it worked based on the archival evidence, but the broad scope of the papers is intended to open up comparative discussion and perspectives that will be of interest to Assyriologists, Egyptologists, and ancient historians more generally. 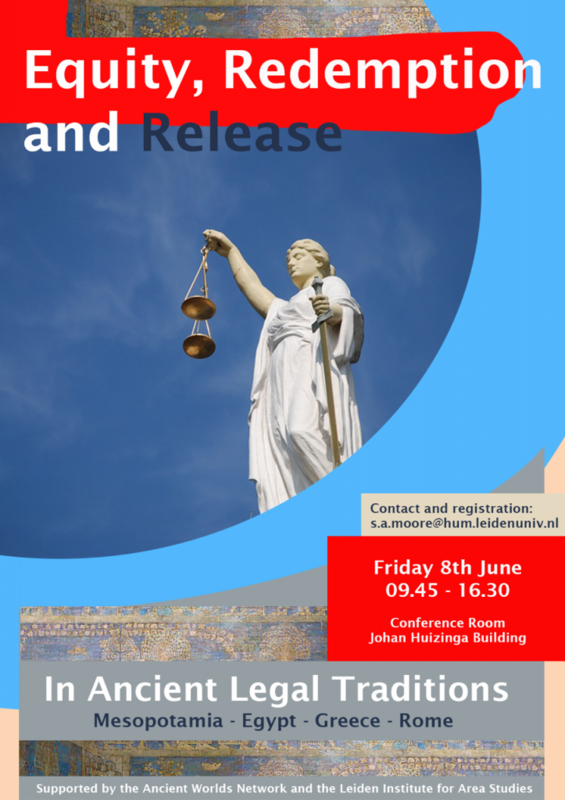 The symposium is supported by the Ancient Worlds Network, Leiden and the Leiden Institute for Area Studies.